Q&A: What is grape seed flour? Q — I have been reading a lot about grape seed flour being high in antioxidants? Is it all hype or is this another superfood I should be paying attention to? 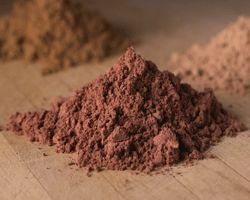 A — In the last few years grape seed flour – which is produced from the pomace (seeds and skin) waste generated during winemaking – has begun to get more and more attention from nutritionists. Like grapes and grape seed oil and extract it is a rich source of antioxidant oligomeric proanthocyanidins (OPCs). OPCs are made up of two types of antioxidants: bioflavonoids and polyphenols. Bioflavonoids are substances that give fruits and vegetables their natural bright colours. Polyphenols are groups of super antioxidants found in red wine, blueberries, purple grapes, green tea and other plants. In addition to antioxidants, grape seed flour is a good source of magnesium, calcium, iron, healthy fats, protein and fibre. There are several different types of grape seed flour each with a slightly different flavour and colour depending on the grape varietal they were derived from, i.e. Chardonnay, Cabernet Sauvignon, Merlot etc. Grape seed flour is not flour in the true sense of the word. It is gluten-free and comes as a fine powder that can be added to baked goods(breads, cereal bars, scones, crackers etc) to add flavour and colour and extra nutrition. It has a slightly astringent taste and so chefs recommend that it makes up no more than 3-5% of the total flour in your recipe. Studies of its use in bread-making concur – adding more than 5% affects the taste and texture of the loaf in a way that most consumers did not like. Grape seed flour can also add it to smoothies and use it to thicken and flavour soups. There are no human studies on grape seed flour. However a recent animal study found that supplementing a high-fat ‘Western’ pattern diet with grape seed flour could significantly reduce cholesterol levels, abdominal fat and weight gain. In another study grape seed flour from Merlot and Cabernet Sauvignon grapes was added to cereal bars, pancakes and noodles and the antioxidant activity (as measured by the free radical scavenging capacity of the food), as well as the consumer acceptance of these foods was then analysed. This study found the highest antioxidant activity was found in pancakes containing Cabernet Sauvignon flour (at 25% and 30% concentration) and in noodles containing Cabernet Sauvignon flour (at 20%) and cereal bars containing Merlot flour (at 5%). From a consumer perspective the preference was for the cereal bars made with 5% Merlot GSF. Consumers were less enthusiastic about the taste of and noodles containing the Cabernet Sauvignon flour. Overall, say the researchers, the cereal bar containing 5% Merlot flour struck a good balance between high antioxidant activity and acceptable taste. Food manufacturers have been looking at lots of ways to use it in their foods including as an antioxidant and nutrient booster in frankfurters. Because they are relatively heat stable and have a high antioxidant action they are also being studied for their ability to reduce the acrylamide formation in baked goods. Acrylamide is a potential carcinogen found in various heated carbohydrate-rich foods and in one study proanthocyanidin-rich grape seed flour produced the greatest reduction in this harmful substance. That is not to say that grape seed flour isn’t affected by heat. In fact if you are going to bake with it, consider turning down the heat. Studies have shown that higher temperatures – above 180 °C and longer baking – can reduce some of antioxidant power of the flour, though not across the board. For instance in one study levels of catechin and epicatechin (more powerful free-radical scavengers) decreased with increasing heating temperature while levels of gallocatechin and gallic acid (which have a less powerful effect) increased. Seeds flours are a new area of study in nutrition and other seed flours are also being researched for their antioxidant potential. For instance one study examined seed flours from black raspberry, red raspberry, blueberry, cranberry, pinot noir grape, and chardonnay grape for their total fat content, fatty acid composition, as well as for the presence of antioxidants, and their free radical scavenging capacity. Chardonnay seed flour had the highest antioxidant capacity as measured by the ORAC test, while cranberry seed had the highest level of alpha-linolenic acid (omega-3) and the most favourable ratio of n-6/n-3 fatty acids (1.2/1). In addition, black raspberry, cranberry, and chardonnay grape seed flour extracts were evaluated for their ability to halt the growth of colon cancer cells. All three were found to a significant inhibitory effect. If you like preparing your own foods, it is worth giving grape seed flour a try. You can generally find it online and in some healthfood shops. Some wineries also sell it direct to consumers. 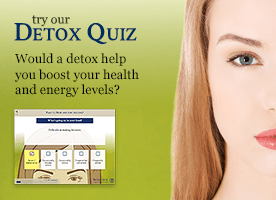 Antioxidants – are you getting what you need?